Do you want to set some financial goals but are struggling to come up with ideas? 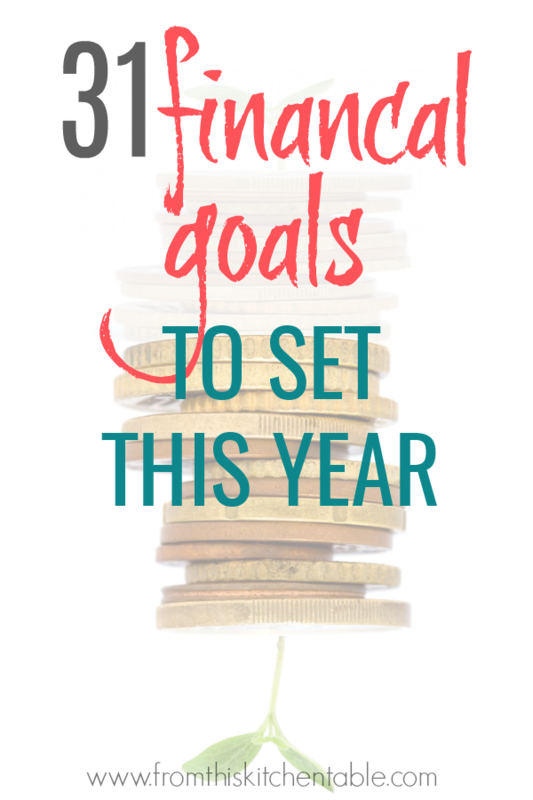 Here’s a great list of examples of financial goals to help you out! Start on the road to financial freedom today – you can change your family’s life! 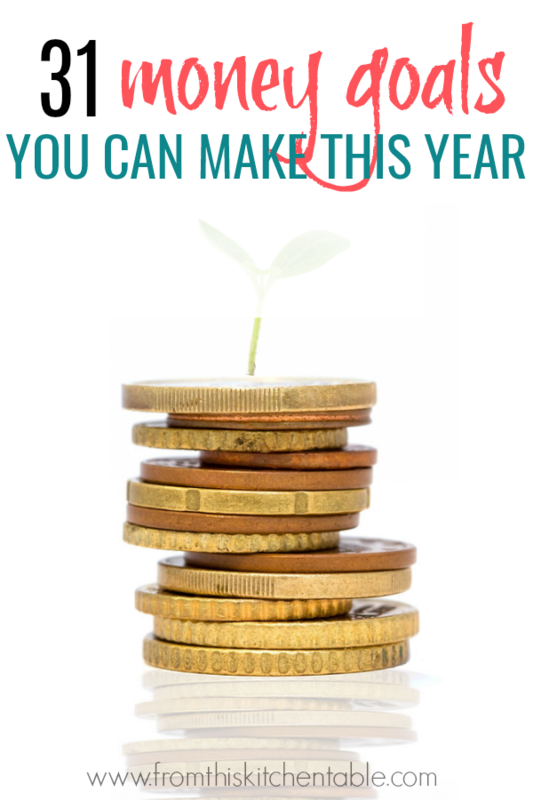 There is no right or perfect time, so whether it’s the beginning of a new year or the middle of a summer month start making a plan and gaining traction on your money goals. Let’s start with remembering that goals have to specific and measurable. Having “saving money” or “paying off debt” as a goal might sound good, but they don’t make the cut. Pay off our student loans by December 1st. Give yourself a starting a date (now), an ending date, and state exactly what you want to do. Everyone’s financial goals will be different. If you are low income and have a lot of debt, don’t despair. Baby steps will get you to where you want if you persevere and work hard! Don’t compare yourself to anyone else. You are doing great. If you are already debt free, you still need to tell your money where to go! Don’t blow money, instead purposely put it towards different goals and saving plans. I hope this list of examples of financial goals helps you as you sit down and make a plan for you and your family. 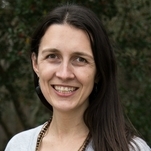 This entry was posted in Finance on January 6, 2019 by Deanna Michaels.